The Vertex 3 Pro sample I received is a drive rated at 200GB with 256GB of NAND on-board. 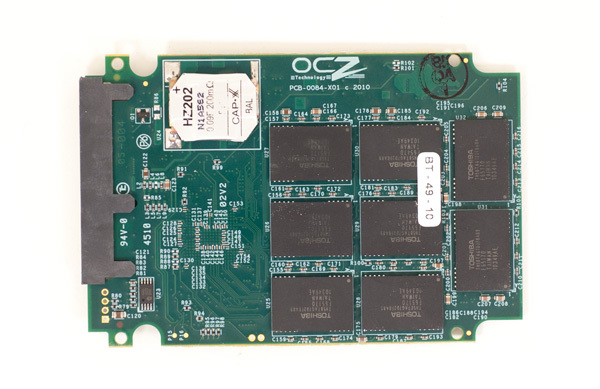 The SF-2682 controller is still an 8-channel architecture and OCZ populates all 8 channels with a total of 16 NAND devices. OCZ selected Toshiba 32nm Toggle Mode MLC NAND for these early Vertex 3 Pro samples however final shipping versions might transition to IMFT 25nm. The consumer version (Vertex 3) will use IMFT 25nm for sure. Each of the 16 NAND devices on board is 16GB in size. 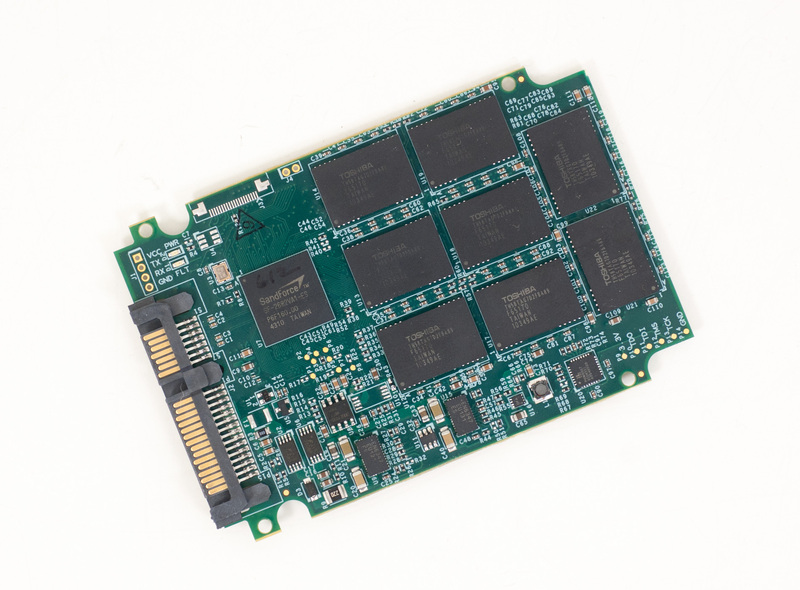 Each package is made up of four die (4GB a piece) and two planes per die (2GB per plane). Page sizes have changed. The older 34nm Intel NAND used a 4KB page size and a 1MB block size. For Toshiba's 32nm Toggle NAND pages are now 8KB and block size remains unchanged. The move to 25nm will finally double block size as well. Remember from our earlier description of SandForce's architecture that its data redundancy requires a single die's worth of capacity. In this case 4GB of the 256GB of NAND is reserved for data parity and the remaining 66GB is used for block replacement (either cleaning or bad block replacement). The 200GB drive has a 186GB formatted capacity in Windows. This is a drive with an enterprise focus so the 27.2% spare area is not unusual. You can expect the consumer versions to set aside less spare area, likely at little impact to performance. 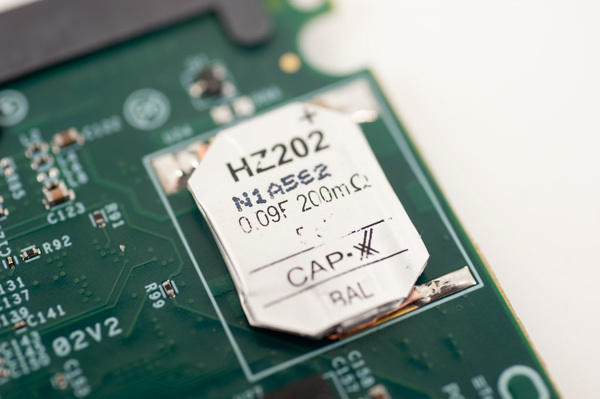 The 0.09F supercap, a feature of the enterprise level SF-2500 controller. This won't be present on the client Vertex 3. The Vertex 3 Pro is still at least a month or two away from shipping so pricing could change, but right now OCZ is estimating sales at between $3.75 and $5.25 per GB. The client focused Vertex 3 will be significantly cheaper - I'd estimate somewhere north (but within range) of what you can currently buy Vertex 2 drives for. Both the Vertex 3 and Vertex 3 Pro are expected to be available as early as March, however as always I'd be cautious in jumping on a brand new controller with brand new firmware without giving both some time to mature.